Details about 1870 Round Liberty 50C California Gold Half Dollar BG-1024 - PCGS AU Details! 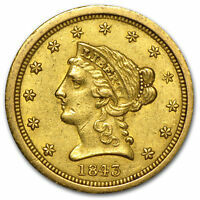 1855 Liberty 25C California Gold Quarter BG-227 R6. NGC AU Details - Rarity-6! 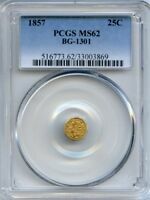 1853 Liberty California Gold Dollar G$1 Coin BG-523 - Certified PCGS AU Details! 1853 Liberty California Gold Dollar Coin G$1 BG-530 - PCGS AU55 - $625 Value! 1853 Liberty California Gold Half Dollar 50C BG-408 R6 - PCGS AU Det - Rarity-6! 1849 Liberty Gold Dollar Coin G$1 - PCGS Genuine - AU Details - Rare Coin! 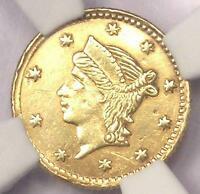 1802/1 Capped Bust Gold Half Eagle $5 - NGC AU Details - Rare Gold Coin! 1853 Liberty Gold Dollar Coin G$1 - NGC Uncirculated Detail - Rare MS UNC Coin! 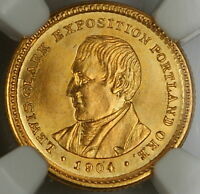 1843-D Liberty Gold Half Eagle $5 - Certified PCGS XF40 - Rare Dahlonega Coin!